With 1,525 miles of pipeline, East Tennessee can deliver 1.86 Bcf/d of natural gas to meet the growing energy demands of the Southeast and Mid-Atlantic. The system begins in Tennessee and extends to an area just south of Roanoke, Virginia. 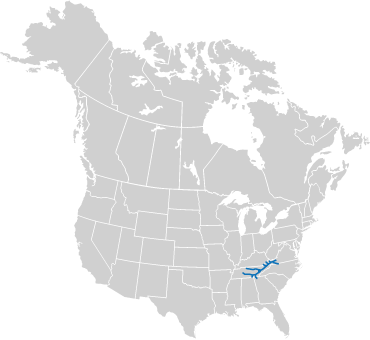 A segment of the system extends into southwest Virginia and northern North Carolina through a 95-mile natural gas pipeline that interconnects with the Transco system near Eden, N.C. East Tennessee also interconnects with Texas Eastern Transmission, Tennessee Gas Pipeline, Columbia Gulf, Southern Natural Gas and Midwestern Gas Transmission. Connected to East Tennessee Natural Gas are several storage facilities that provide direct access to diverse storage options. Located near Kingsport, Tennessee, East Tennessee's liquefied natural gas (LNG) storage facility provides about 11% of East Tennessee's peak day requirements. The Saltville gas storage facility provides high deliverability and depleted reservoir storage to the East Tennessee Natural Gas system in Southwest Virginia, and is wholly owned by Spectra Energy Partners, LP. In addition to interconnects with major interstate pipelines and on-system storage, East Tennessee Natural Gas provides direct access to natural gas producers in the Appalachian region through numerous connections on its mainline as well as its Nora and Jewell Ridge laterals. For assistance with operational issues or in an emergency, please call East Tennessee Natural Gas 888-231-2294.